I just wanted to show you 2 cute things I picked up whilst in Egypt. 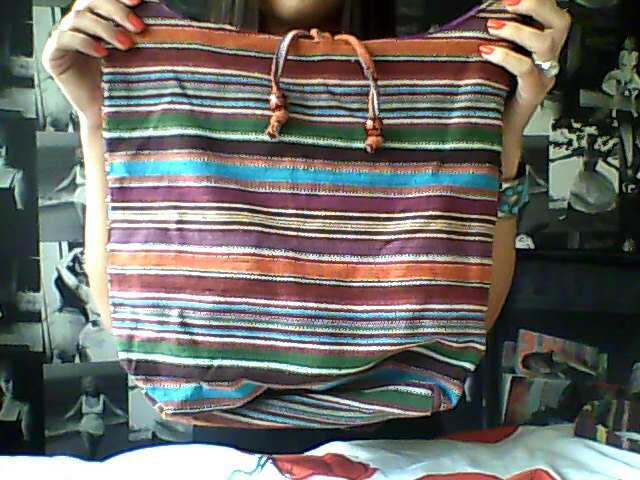 First up I found this boho style bag in one of the amazing stores in Naama Bay. 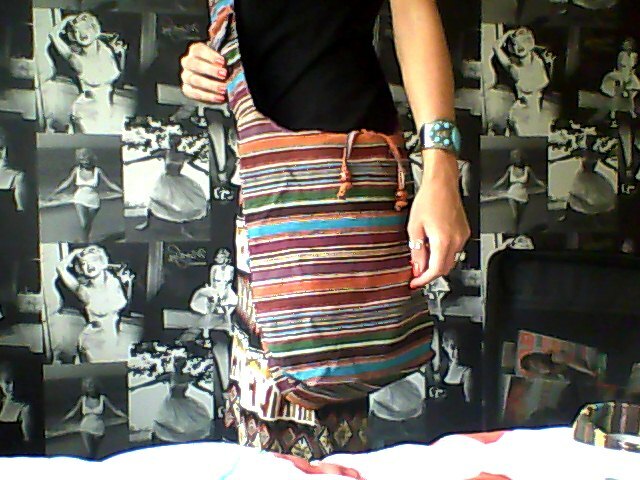 It had been hand-made & after some haggling I manged to buy it for only £5.00! A total bargain. I loved the mix of colours & it has two cute straps finished with beads that act as a way to fasten it. 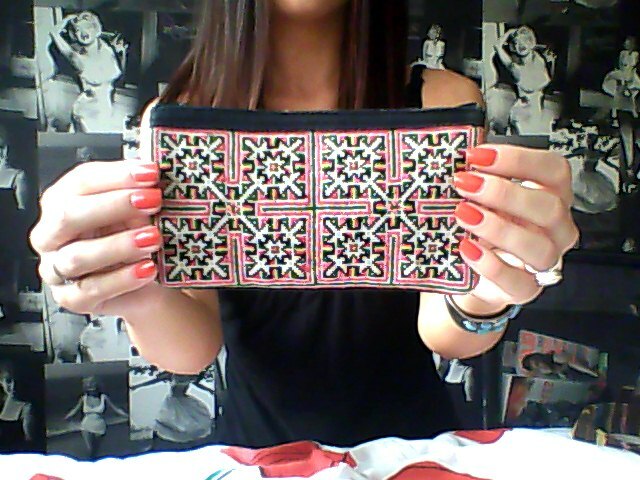 Next I found this beautiful purse whilst shopping in Soho Square. This has also been hand-made & the detailing is beautiful. Again I loved the mix of colours & the pattern. This one cost me £7.00 but it was worth every penny for such wonderful detail. It is also unique as it is hand-made & each design is different. This reminds me I need to upload some of my pictures from Egypt!